As courses, certificates, and curricula are created, it's valuable to bring together people who are working to develop and deliver this material into a community where we can jointly define a central body of knowledge related to free, libre, and open source software. That goal has led me to take the first step toward creating this body of knowledge, termed FLOSSBOK. The initial outline, intentionally very brief, can be found on our FLOSS Competency Center site. The FLOSSBOK concept is based on a similar project, known as SWEBOK, sponsored by the IEEE Computer Society, that was used to develop a body of knowledge for software engineering. The SWEBOK project is now more than a decade old and in its third revision. It's easy to see that the FLOSSBOK effort has a long way to go to match the extensive content found in that document. While I have some significant disagreements with the SWEBOK content, it's important to notice that there is a sizeable community around that project. As with any other open source project, FLOSSBOK must develop its own community to thrive and to create useful content. While the effort can start with the Education Committee of the OSI and with the leaders of various FLOSS Competency Centers, long term success depends on attracting people to the project and getting them to contribute their knowledge and experience to it. 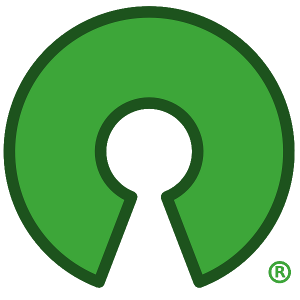 Please let others know about FLOSSBOK so that we may build up a useful document that can help more people to become knowledgeable about free, libre, and open source software. Why do you consider FLOSSBOK separate from SWEBOK? The FLOSS community should consider itself a significant part of the SWE community. The FLOSS community members should be making themselves valuable contributors to the revision of SWEBOK. The IEEE Computer Society is a highly respected, 64-year-old, international, professional organization. Much of what the FLOSS community uses can exist precisely because the IEEE has promulgated a series of vendor independent standards that can be used by anyone who takes the time to read and follow them carefully. If there is any bias in any IEEE standard, it is because no one has provided their time and expertise to prevent the bias. Thanks for your comment. As an IEEE Life Fellow, a co-founder of ACM SIGSOFT, and an early participant in the SWEBOK discussions, I thought long and hard about overlap between the goals for FLOSSBOK and the various professional societies. For now, it seems to me that there is a significant aspect of FLOSS that doesn't fit very well with those societies. That doesn't prevent us from drawing on their memberships for cooperation, and to submitting FLOSSBOK work products to their conferences, magazines, and journals. While many people associated with FLOSS projects have a computer science or software engineering background, the FLOSS community also includes people who are working on social aspects of collaboration, business models for FLOSS, and other topics that are well outside the SWEBOK topic areas. Eventually, I think that members of the FLOSS community will be able to make significant contributions to future versions of SWEBOK, since we have gained valuable experience about development and deployment processes, global software development, and software testing that are not well addressed in the current SWEBOK. If you have strong connections to IEEE, ACM, or other professional societies, I hope that you will participate in the FLOSSBOK effort and help to bring our work into the activities of these societies, not just SWEBOK, but also the CSEET conference and more.